Description: Generally Unsodo published prints by Takeji Asano with date stamps in the margin are considered to be first editions. This print however whilst bearing a date stamp is actually a subsequent (probably second) edition. 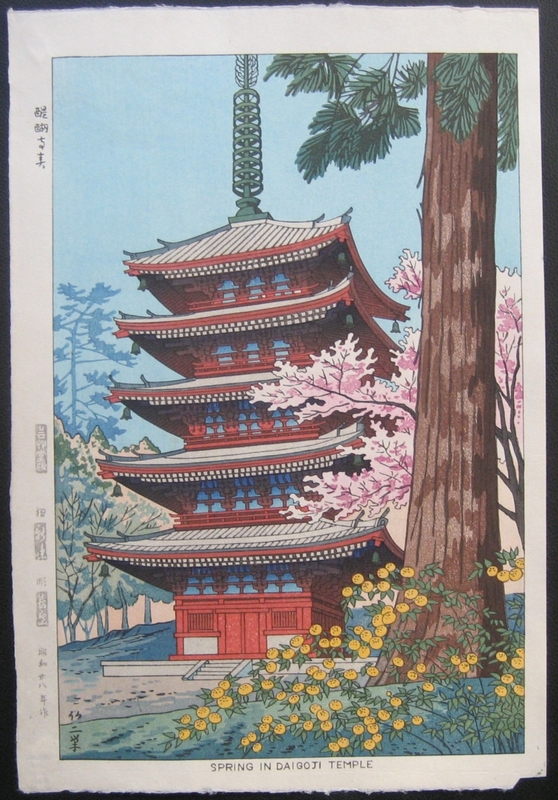 As can be seen it's date of 1953 and Unsodo publisher stamp differ from this 1951 first edition print Spring in Daigoji Temple.